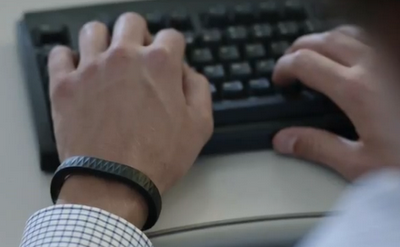 Personal health metrics just got cooler. UP the elegant new wristband by Jawbone is poised to revolutionize how we measure our food, activities, sleep, and much more. All this with a great user interface and social networking. Sure, there are big clunky devices that offer similar functionality, but they are nowhere near being so well designed that they could easily be mistaken as a piece of jewelry.